UPDATED NEW QUOTE BY ULDIS SPROGIS 1380!!! If you liked this evergreen truth blog then read more of them, about 4600 so far, or read one or more of my evergreen truth books, especially EVERGREEN TRUTH, rays of truth in a human world filled with myths and deceptions. This entry was posted in common sense and tagged common sense, criminals, enemies, guns, quotes, truth, tyrants, use, wisdom, wise sayings on March 1, 2019 by uldissprogis. UPDATED NEW QUOTE BY ULDIS SPROGIS 1292!!! This entry was posted in common sense and tagged common sense, criminals, destitute, environment, government, moral, pollution, quotes, safety net, truth, unemployed, useful education, wisdom, wise sayings on January 8, 2019 by uldissprogis. UPDATED NEW QUOTE BY ULDIS SPROGIS 943!!! If you liked this evergreen truth blog then read more of them, about 3900 so far, or read one or more of my evergreen truth books, especially EVERGREEN TRUTH, rays of truth in a human world filled with myths and deceptions. This entry was posted in common sense and tagged account theft, common sense, criminals, human nature, immorality, quotes, relationships, robbery, steal, taxes, truth, wisdom, wise sayings on November 8, 2016 by uldissprogis. This entry was posted in common sense and tagged common sense, constitution, criminals, government, human nature, protect, quotes, relationships, truth, wisdom, wise sayings on October 30, 2016 by uldissprogis. UPDATED NEW QUOTE BY ULDIS SPROGIS 348!!! If you liked this evergreen truth blog then read more of them, about 3200 so far, or read one or more of my evergreen truth books, especially EVERGREEN TRUTH, rays of truth in a human world filled with myths and deceptions. This entry was posted in common sense and tagged cohesive, common sense, criminals, human nature, just, meritous, moral, peaceful, punish, quotes, relationships, reward, truth on May 2, 2016 by uldissprogis. Execution by lethal injection, by firing squad, and beheading are all punishments for committing a crime against a legal authority. 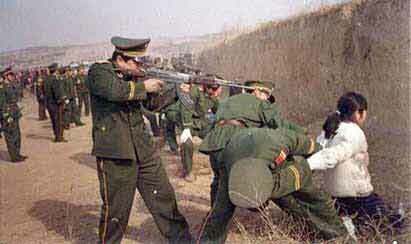 Tyrants love executions because it terrorizes humans and prevents much dissent from repugnant ruling dogma. I personally don’t believe in executions in civilized countries because being framed or set up is relatively easy with the clever placement of doctored circumstantial evidence. If you are innocent of a brutal crime frame up then you still have a lifetime in prison and your friends to try and prove your innocence. If you are innocent and get executed then there is no way to ultimately reverse the death decision in your favor at some point in the future. If you liked this evergreen truth blog then read more of them, about 2200 so far, or read one or more of my evergreen truth books, especially COMMON SENSE, rays of truth in a human world filled with myths and deceptions. This entry was posted in common sense, education, justice, science, society and tagged common sense, crime, criminals, deterence, discourages, education, execution, justice, official killing, punishment, science, society, the truth about execution on October 9, 2015 by uldissprogis. Most of us want to be protected from pollution, from criminals, from crazy humans, from fraudulent contracts, from unsafe surroundings or goods, high taxes or fees, and some want privacy protection. The government can play a role in minimizing pollution, apprehending criminals, reducing fraud, and instituting safety standards for buildings and goods so some taxation and some fees are necessary. Privacy also translates into privacy for criminals so the issue has still not been settled and probably never will be settled to the satisfaction of everyone. There is also personal responsibility or protecting yourself and that means taking care of your offspring and family, protecting yourself from criminals and crazy humans in emergency situations, living cautiously and responsibly to avoid accidents and ill health, contributing to causes that you believe in, and voting even though that frequently seems an excursion into futility. An entitlement attitude is increasing with many feeling that government should take care of many of your problems and disasters in life. An irresponsible nanny state is the result with many middle class citizens feeling that they slavishly have to work to support irresponsible welfare types. Protection from human stupidity, deception, immorality, and irresponsibility is not possible with laws alone so responsible behavior should be promoted by the financial and educational system before the human stupidity, deception, immorality, and irresponsibility gets totally out of control and we largely have a nation filled with dependent adult children supported by the few remaining responsible working taxpayers. We need protection from an unjust educational and welfare system and radical change is necessary. If you want details on what should be done then read my evergreen truth books EDUCATION REFORM and CHANGES IN WELFARE LAWS. Finally wilderness needs protection because it will be the only safety net or source of a healthy food supply when the irresponsible use of technology makes food and drink unhealthy for human consumption. You are what you eat and drink so I am surprised that the United States short duration profit hungry corporations are still propagandizing and promoting cheap overly processed overly chemically polluted food in restaurants and supermarkets. Not only is human health in jeopardy but drug companies and the medical establishment are making a killing profiting and masking the symptoms of bad health and not doing much curing in the process. The basic solution is quality food for as many as possible and not prescribing more and “better” pills and drugs. Who is going to protect us from money hungry food corporations, drug companies, and the medical profession? We can start by not taxing organic food growers, organic wholesalers, and organic restaurants!!!!!! If you liked this evergreen truth blog then read more of them, about 1300 so far, or read one or more of my evergreen truth books, especially COMMON SENSE, rays of truth in a human world filled with myths and deceptions. This entry was posted in common sense, education, globalism, justice, money, science, society and tagged common sense, criminals, education, fraud, globalism, harm, justice, money, pollution, protection, science, society, the truth about protection on March 8, 2015 by uldissprogis.